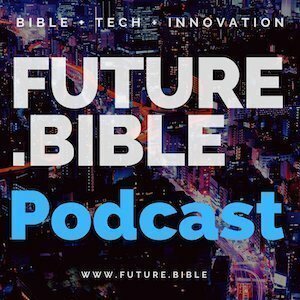 Tune in to the most recent episode of our Future.Bible podcast with our special guest, Michael Cohen. Michael, is working on a project nano.bible which is located in Jerusalem. In today’s episode, Michael will share some background about nano.bible on how people can bring Bible wherever and whenever they are. Get to know more about Michael and his project nano.bible. Kenny Jahng: Well, friends. Welcome to the podcast today. This is the place where we get a chance to interview leaders and innovators and entrepreneurs and new friends at the intersection of the Bible and technology. Looking at what’s to come as well as soon as happening right now in this space. The future now. Usually, as you guys know, I have a copilot, DJ Chuang talking by my side, but because of time zones, I think actually with today’s interview with literally span half the globe’s in terms of time zones. So DJ will be returning into the seat next time. But in the meantime, really looking forward to this conversation today. We have Michael Cohen with us. Welcome to the show, Michael. Michael Cohen: Thank you for having me. Kenny Jahng: So Michael, you are with a very interesting venture, but first, geographically you are several times zones, ahead of me as I said your. Where are you dialing in from today? Michael Cohen: Well, I live in Israel. I am in the Valley of Elah where David had his little spat with Goliath. Michael Cohen: Yes. Here, that’s what it looks like. And my back yard, we see from Hebron all the way to Bethlehem. So we have all of David’s world right in our region. Kenny Jahng: That’s fantastic. And the project adventure you’re with is nano.bible, www.nano.bible. If you’re playing along today, you can pull that website up on your mobile phone or on your desktop, laptop as we go through and just explore Michael’s site. As we go forward Michael, just give us the elevator pitch of what this nano.bible site is in Jerusalem, Nano Bible Foundation. Tell us just what is the purpose of your organization? What’s the mission and vision there? Michael Cohen: Well, the mission is to allow people to fulfill Deuteronomy 6. At Sinai, God gave Moses, in my family and I’m a direct descendant of Aaron, so in my family, he’s uncle Mo. So God gave uncle Mo the tablets and he said, take these words and use them as a son, use them as a memory, put them on your arm, put them on your head, put them on your doorposts. So since then, Jews had been trying to synthesize the words of the Bible in such a way that they could carry it with them always. So it started with a little schmear in Jewish of blood on the doorpost. And then when they were able to create amulets made out of copper or gold, they would scratch some words or letters into that and carry that with them. And then when Papyrus became more popular, we started writing things on Papyrus selected sections. Michael Cohen: And that’s where it stands to this day. Little pieces of Papyrus worn on the head, worn on the arm, placed placed on the doorposts. Several years ago with the advent of nanotechnology and the advent of microchips and other kinds of silicon, which is actually just send. They realize that they could conduct electricity and sound and video through these things. A gentleman said, “well, if we could put millions of circuits on the sand, why can’t we put the whole Bible on this end and make it small enough so that everyone can have a Bible with them 24 hours a day with no issues?” Not a readable Bible, but a spiritual model, a physical Bible works with them. The same way as the whole Bible was written on the tablets. The same thing. There was a spiritual connection between man and god. And we received the Bible in a different way. Michael Cohen: Right, which means carried with you physically, not spiritually, but physically have these words with you. And we haven’t been able to do that. And that’s basically the, it’s the intersection between Bible and technology. Kenny Jahng: That I think is really cool. How did you come upon this project? Were you already in the nano technology field or did you come from the other side? Michael Cohen: I’ve been doing a lot of different things. Several years ago, the tech field, the Israel’s MIT or Caltech printed a bible on a piece of silicon, the size of a grain of sugar and they gave one to the pope. They gave one to the library of congress. There’s one in the Israel museum, and so on. They only have five of those. And a gentleman who’s a photo journalist said, I want one too. His name is Ami Bento and Abby said to the university, I want one. They said, give us $500,000 and we’ll make one for you. So he said, “no, no, no. I want one that we can, I want everybody to have one.” And they said “we can’t do that. This is every word is sketched in there and it takes months to make each one.” So he went on a quest to try and figure out how he makes something that’s priced for everyone. Anybody could have it, no matter where they are, it’s not an expense that breaks any bank and he figured it out. Michael Cohen: It took them two years and together with a company called TowerJazz semiconductor, the company that makes our sim cards and our memory cards and all these little things that keep our memories and our computers and our phones running. they took the exact same technology and they printed a Bible. That’s only, like I said, 4.77 x 4.77mm which is approximately 0.19 x 0.19 inches. Just to give you a sense of what it looks like, the text, human hair, a typical human hair in nano terms, nano just means small. Nano terms, human hair is a 100,000 nano meters wide. So let’s say, you would take a football field of 100 meters or 100 yards. A thousand football fields is a strand of hair. Every letter in this Bible is 600 yards. That’s 6 football fields. Kenny Jahng: That is quite amazing. And, was there any push back at the very beginning when you start to conceptualize this and put this into motion? Kenny Jahng: This is, I think fascinating of how this came to be. One of the other things that you do actually for people, the Christian faith is you have a New Testament version, I believe, right? That you were envisioning to be able to. Michael Cohen: So the idea, what people from the Christian faith actually expressed interest. The problem was which version did we print? Of course. So the consensus was if we do the textus receptus, which is the original Greek version, in original Greek, that pretty much settles the argument. So the New Testament does the Greek and the Jewish Bible, what you would call the Pantateuch plus all of the prophets and all of the writings, which means Psalms and Esther and the Nehemiah and Chronicles. All of those are in Hebrew. Kenny Jahng: Nice. And then on the Hebrew Bible side, it is not just the Torah, right? You have the entire, I believe in your faith you have is a 2000 bucks, right? Kenny Jahng: Correct. so like I said, it includes the five books of Moses plus all the stories in Joshua and in Kings and in Samuel and Esther and Psalms, etc. Kenny Jahng: Fantastic. So, how long has this been in production available in the marketplace so far? Michael Cohen: This is the fourth year. 20 19 is going to be the fourth year. The first three years were, the first year was a test, you know, how are people going to react to this? And the following two years was about how do we bring it to the public. And it was meeting with designers of jewelry, people who make giftware, and to be able to make it available in some sort of container that people, would love a beautiful piece of jewelry, a point with the names of the different, books on it, giftware and, and memorabilia. This year, 2019 is going to be dedicated to communal work. We’re going to be setting up at nano.bible. It’s going to change dramatically over the next couple months and it’s going to become more of a gofundme project where people will be able to buy one for themselves or for a friend or give one to a list of different people who deserve to have one, but we don’t want to ask them to buy it. Michael Cohen: Firefighters, police officers, members of the military, and we’ve designed it in such a way that they could wear it on their arm just like it says in Deuteronomy 6, with a little piece of velcro under the patch that they wear either when it’s so non or when the patch has velcro, like the soldiers now wear their flag on their arm with velcro. So we’ve designed it so it could fit over there. We’re also running a project similar to, we’re trying to find the right partners. We’re working with a few. There was a project a few weeks ago about putting a wreath, wreath on every tomb in the United States. Michael Cohen: What we’d like to do is we we’re looking for the right partners, every soldier, every fall in American soldier, and this could be done in Canada, in any country that respects the Bible, putting a Bible together with the cross or a Jewish bible together with the Jewish symbol in the military ceremonies and that way that, that it’s, it’s the spiritual connection between that sentence that God said to Moses about keeping it with you all the time. If we put an actual Bible like a Gideon Bible, it’ll get destroyed. This won’t get destroyed. The elements doesn’t go and don’t affect it, and that way we can take that a step further as well. The idea is to give it to those who deserve it. I work with schools and with veterans organizations and with 4H clubs and anyone who wants to participate. Kenny Jahng: Now, this is more than just aesthetics for people. How on our show we look at how technology is allowing new formulations of engagement experiences with the scripture. How would you say the dynamic changes for someone who does carried on their arm daily or is able to have the entire cannon carried with them? What have you seen in terms of personal spirituality or just they’re a conceptual relationship with the Bible? Michael Cohen: Well, think of the symbolism we already have in Biblical faith. If you take Catholic or Eastern Orthodox Churches, you have a tremendous amount of iconic visual visibility and visual. The priest will wear a collar or a color. As they go up the ranks, they’ll change their colors. There’s a tremendous amount of visual aid in religious practice, in the Protestant or Jewish areas, you’ll see a lot less of an icon or a cross, but you will see people will carry some sort of religious symbol with them. And the Jewish side, many of those live in a community where they’ve seen a practicing Jews. They see that they wear head covering of some kind. Or they will wear fringes just like it says. You know, where the fringes, one of them should be blue. Michael Cohen: So even in Biblical narrative, it was always a necessity to create symbolism. God could have given the people of Israel food or the ability not to need food, but he created a symbol. He sent them the manner, he didn’t have to give Moses two tablets. He could’ve just said that, but it’s, there’s a necessity for humanity to have symbols where I wear my Kippah or my head covering. I asked my dad when I was a teenager, what if at someplace I shouldn’t be wearing it or it’s dangerous for me to wear it? His answer was, “if you shouldn’t be wearing it, you shouldn’t be there”. It gives you a constant reminder and that’s the whole purpose of it, of who I am, a puny human being and there’s a God above and I in my actions as a human, as a human of faith, I represent the Creator of heaven and earth and I have to behave that way. Michael Cohen: If I’m going to get angry with somebody over a parking spot and he’s going to see that I’m a person of faith because I’m wearing the head covering, I have to act differently than I would if I just burst out. That’s why priests wear collars and that’s why people walk around with crosses or with others Christian symbols. People carry a St. Christopher’s medal that has very strong spiritual connotations and some people say powers. And we’re taking the bible and adding that to the mixture. People could take a whole Bible, attach it to a St. Christopher’s medal. I was down in a training venue for us marines on the way to the Middle East, Iraq. And I gave that. I gave them out to the soldiers to see what they would do. And after they stopped crying, which was their initial reaction. Each one did something different. One decided to put it on the back of their family picture. One put it in the rubber. They have a very heavy rubber band around their helmet and one of them put it in there. Another person put it on a his St. Christopher’s medal, and one guy said, can I send it home to mom to put on one of her pieces of jewelry? And I said “no”. And he said, “why?” So I said to him, “well, I’ll give you another one for her.” And the impact was absolutely stunning. You know, it can be viewed now at the museum of the Bible in Washington and we’re working on a full exhibit explaining all of it than what it means. And when you stand there watching people react, whether they’re home schooled or whether they’re in a Sunday School, anyone who’s connected beyond where they are, the more they connect with this because they understand it’s a language that they really identify with. Kenny Jahng: It’s interesting in our culture that we’ve gone so digital that even in churches, so many churches aren’t. They’re not providing pew Bibles in the back of the pews anymore. Physical Bibles on character. Everyone’s, you know, depending on Youversion or their smartphone. And here you’re using technology and it’s quite ironic that’s going the other way. It’s an elevation of the texts physically, that is quite interesting, right? It’s a different dynamic of what you’re doing to the texts. Michael Cohen: Right, so I told you about the future now, about the plans for 2019. I’ll give you another piece of future now. It’s already available, but we haven’t implemented yet. The Bible will become a portal for children to go into the Bible like a Harry Potter portal and they’ll click on it with their smartphone or their tablet and it’ll take the world of them into their world to put in there their security code and they’ll be able to play Biblical games and they’ll be able to bring up any one of a dozen of different Biblical texts and versions and they’ll be able to go on a virtual tour of where the Bible took place and all these things already exist. We’re just mixing and matching the partners and like any other app, you know, the first three, four or five stages will be for free. And then the different companies will pitch their wares. But again, it’s a way of bringing the interaction with the Bible to people in a way that is very, very understandable to the modern world. Kenny Jahng: So I just want to remind people just how small this is, that if you, I think in on your side, I saw there was a picture of a US penny and then one of the jewelry pieces was smaller. Just to share everybody’s, you know, give them some creative, illustration in their mind. The text is so small. Is it something that you have a reader or magnifying glass that human eye be able to actually read the text if they were able to magnify it up again? Michael Cohen: Yes. You could go to any university, nanotechnology lab, and I’ve yet to find university that hasn’t gone. Wow. Bring it in. I’d love to see that. But you need a university great microscope in order to see it. Then that’s why we placed one at the museum of the bible in Washington because many people want them to see that. But if Kenny, if you, if you tell people, let’s tell our listeners to look at their pinky at the nail on their pinky, right? A typical nail and a typical pinky is going to be twice as large as this Bible. Twice as large. So basically every piece of jewelry that somebody has or every piece of memorabilia they may have had, it fits almost everywhere because it’s just a tiny gem. I look at it as a gem for the 21st century because the greatest gem ever created is the Bible and here’s a bible that could be used as a diamond, as a gem. Kenny Jahng: Now if you are interpreting Deuteronomy that way, why use jewelry or velcro or something? Why not insert the microchip? We do that with dogs and other animals and the military. They’re inserting chips into the skin that took. That application is available. It’s safe, it’s widespread. Why not go that direction? Michael Cohen: That’s for the user to decide. I’m not going to go violate people’s, but that’s definitely future now, if somebody wanted to do that, that’s their right and it has seven layers of protection above and two underneath. Even though it’s only, what did we say 0.000352 ounces. So it has no weight. Kenny Jahng: Guinness recognized you guys as well, right? The Guinness book of world records? Michael Cohen: As the smallest the Bible. It’s a candidate for the smallest Bible ever printed on one surface. Kenny Jahng: That must be fun. That must be fun. Tell us about how we can bring the heroes project to our community here in the states or anywhere people are listening. Michael Cohen: Well, that’s the great part is that working with chambers of commerce, working with schools, working with churches, it’s a project that the community could take and you utilize at any level. It could be a small thing that they just want to do for a few veterans that they want to honor. Congress in the United States is actually enacted several years ago, 2007, first responders appreciation day, September 25th, and it hasn’t taken off. Some of the counties we’ve been talking about. I said, “you know what? That’s a great idea.” Let’s have a big ceremony on September 25th, honor our first responders and have this half the students in the county, the youth in the county, the different youth movements, the 4H club, have them honor the first responders and learned an important lesson, not only in humility but also in the fact that we have to give thanks to those who sacrifice every single day for our ability to be safe and go to football games, baseball games or whatever it is that we do. So all I have to do is contact us and we’ll work with them to develop what’s right for them. If it’s for their school, if it’s for their church, if it’s for their Bible teaching, it doesn’t matter if it’s five people or $10,000. Kenny Jahng: That’s fantastic. One of the questions that we ask our guests here is if you had a magic wand, if we give you a magic wand and technology is not something you’re waiting for it to catch up with and resources is not a problem, what’s the one thing you would love to see happen? Will you could wave your magic wand in terms of engagement with the scriptures? What’s the one thing I think in your mind you’ve got one of the most creative outlets right now. I’m interested to hear what would you do with that magic wand? Kenny Jahng: It is that museum, right? Let’s do a plug for that. That’s just one of the most technologically advanced museums in the world. And it’s just absolutely a visually stunning even as you walk in, right? From ceiling to floor places engaging. Michael Cohen: Kenny even beforehand because the ceiling of the subway stop going up is also an exhibit. Kenny Jahng: Yes. Yes. So if you’re listening here, you haven’t had a chance to trek to White House and Washington DC and all those standard tourist traps. One place that is really should be on the top of that list is a museum of the Bible, fantastic. I think most people are caught off guard just how they think of a museum of the Bible is something boring and dry. And then when they get in there their jaw drops and they just want to stay there for forever. I’ve seen it a couple times and yes, I just keep wanting to go. I want to go back and go back and back. Michael Cohen: I’ve spent days there. Kenny Jahng: Nano Bible is there on display that we can actually see in person if you don’t have one locally. Michael Cohen: Correct. We’re creating now an actual large display, but it is available. It is available there. Right. Second thing that I would do with my one is something my wife wants is a 15 second spot at the Superbowl where Indiana Jones finds the Ark of the Covenant, and he opens it up and a finger comes out with a nano Bible and he says, what am I supposed to do with that? And then he puts it on his arm and said, “oh, now I get it”. Kenny Jahng: I think you should create that spot. I did a very, very viral spot. That is wild. Michael Cohen: Yes. So again, the museum of the Bible have their own Indiana Jones who takes people through the world of the Bible on various different video screens. And so they even have a character for it. Kenny Jahng: Absolutely. Harrison Ford, if you listen to this, we challenge you to contact Mike and I, and we can make that happen. Well thank you so much for dropping by and sharing about all the exciting things you’re doing with physically technology and the Bible. I just love hearing about it. I hope that everyone gets a chance to visit nano.bible to see what you’re doing both with the Jewish texts, then the Christian texts. Hope we have a chance to revisit with you again soon here on future.bible. Again. Michael Cohen: My pleasure, Kenny. Thank you so much. Kenny Jahng: Thank you for that conversation. And thank you for our audience. So listening to our episode today, please let us know what your thoughts and reflections are about today’s interview at future.bible. We’re always looking for your suggestions for future shows. We want your input. We want to become the number one show where you drop in and meet innovators like today, ready to talk about how they’re using technology creatively at the bleeding edge so that we can have a much more practical engagement experience with the text. All for real life change in the end. So till next time. I’m Kenny Jahng will have DJ Chuang back in the seat as a copilot. Really excited to bring him back. Be blessed and remember to be a blessing. 02:26 the mission is to allow people to fulfill Deuteronomy 6. At Sinai, God gave Moses, in my family and I’m a direct descendant of Aaron, so in my family, he’s uncle Mo. So God gave uncle Mo the tablets and he said, take these words and use them as a son, use them as a memory, put them on your arm, put them on your head, put them on your doorposts. So since then, Jews had been trying to synthesize the words of the Bible in such a way that they could carry it with them always. So it started with a little schmear in Jewish of blood on the doorpost. And then when they were able to create amulets made out of copper or gold, they would scratch some words or letters into that and carry that with them. And then when Papyrus became more popular, we started writing things on Papyrus selected sections. And that’s where it stands to this day. Little pieces of Papyrus worn on the head, worn on the arm, placed placed on the doorposts. 09:08 the idea, what people from the Christian faith actually expressed interest. The problem was which version did we print? Of course. So the consensus was if we do the textus receptus, which is the original Greek version, in original Greek, that pretty much settles the argument. So the New Testament does the Greek and the Jewish Bible, what you would call the Pantateuch plus all of the prophets and all of the writings, which means Psalms and Esther and the Nehemiah and Chronicles. All of those are in Hebrew. 12:31 What we’d like to do is we we’re looking for the right partners, every soldier, every fall in American soldier, and this could be done in Canada, in any country that respects the Bible, putting a Bible together with the cross or a Jewish bible together with the Jewish symbol in the military ceremonies and that way that, that it’s, it’s the spiritual connection between that sentence that God said to Moses about keeping it with you all the time. If we put an actual Bible like a Gideon Bible, it’ll get destroyed. This won’t get destroyed. The elements doesn’t go and don’t affect it, and that way we can take that a step further as well. The idea is to give it to those who deserve it. 14:07 hink of the symbolism we already have in Biblical faith. If you take Catholic or Eastern Orthodox Churches, you have a tremendous amount of iconic visual visibility and visual. The priest will wear a collar or a color. As they go up the ranks, they’ll change their colors. 15:12 even in Biblical narrative, it was always a necessity to create symbolism. God could have given the people of Israel food or the ability not to need food, but he created a symbol. He sent them the manner, he didn’t have to give Moses two tablets. He could’ve just said that, but it’s, there’s a necessity for humanity to have symbols where I wear my Kippah or my head covering. I asked my dad when I was a teenager, what if at someplace I shouldn’t be wearing it or it’s dangerous for me to wear it? His answer was, “if you shouldn’t be wearing it, you shouldn’t be there”. It gives you a constant reminder and that’s the whole purpose of it, of who I am, a puny human being and there’s a God above and I in my actions as a human, as a human of faith, I represent the Creator of heaven and earth and I have to behave that way.